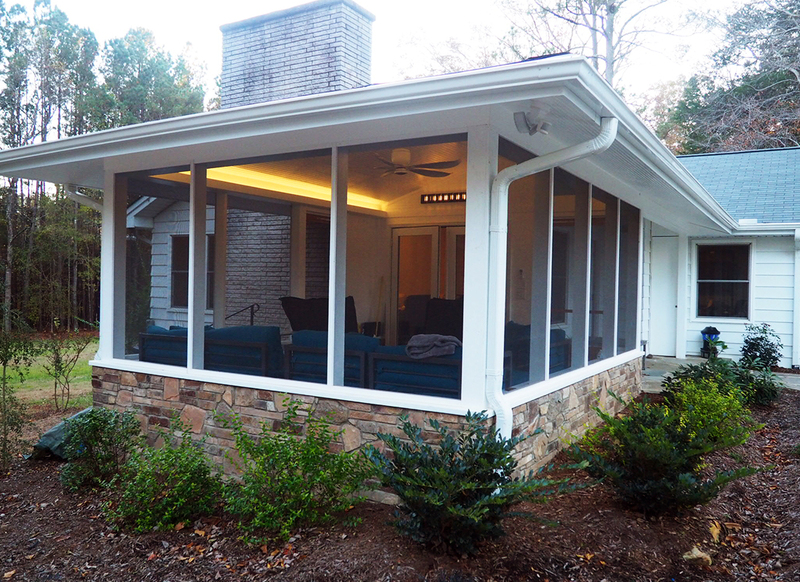 Design and construction of an accessible entry and screen porch addition. 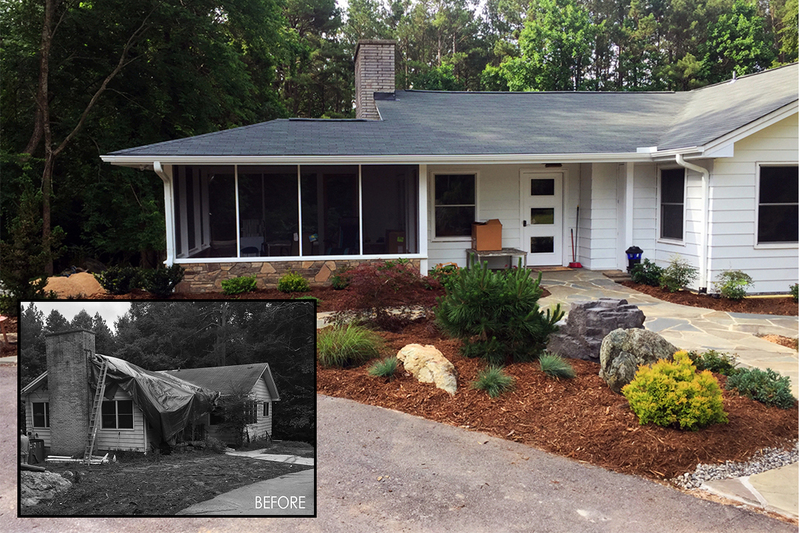 Client took the advantage of the destruction of a tree on their roof to change the entry and use of outdoor space. 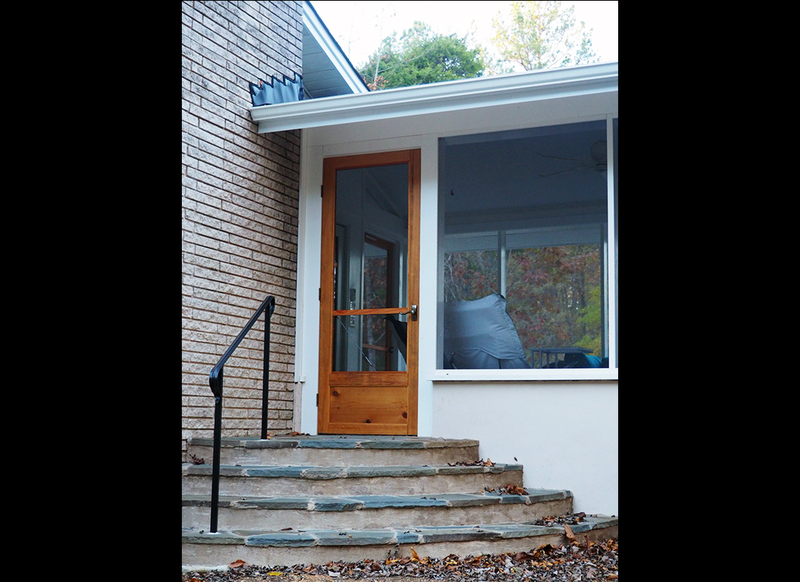 Anticipating mobility issues, they desired an accessible entry. 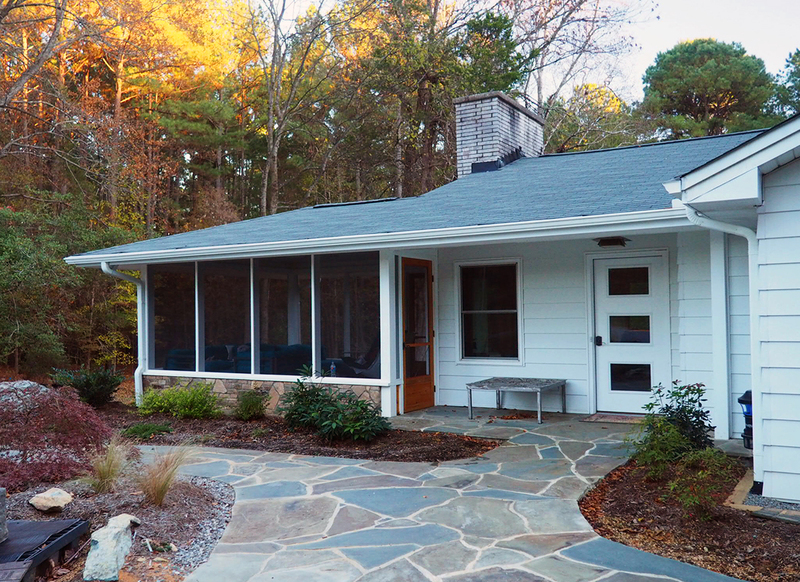 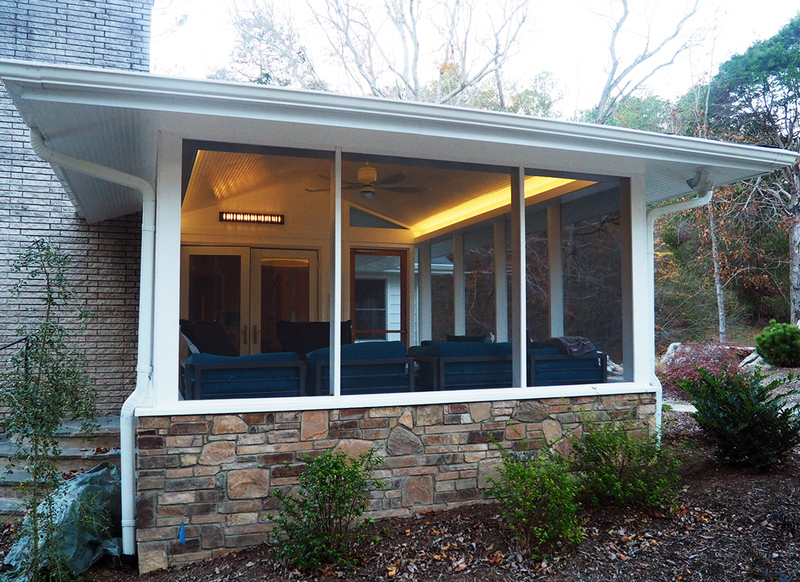 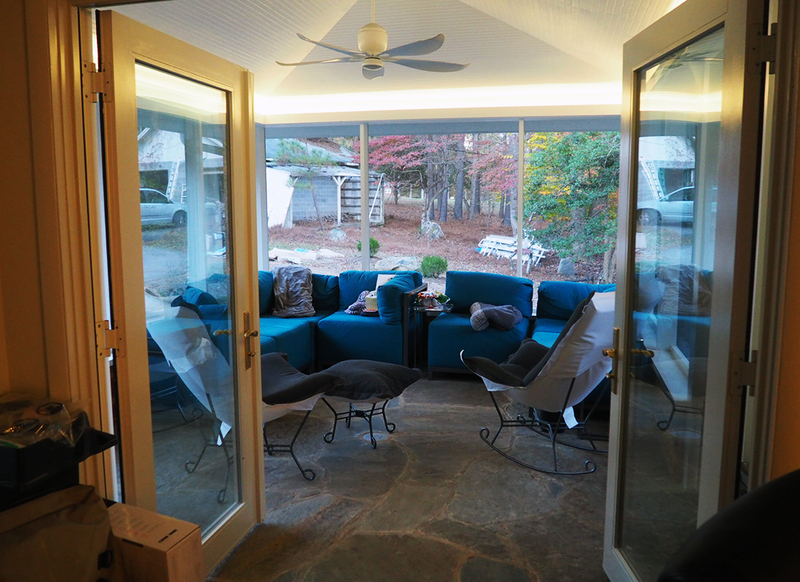 As the house is situated in a wooded area near the Eno River, they also wanted to take advantage of the outdoors by adding a screen porch off the living room. 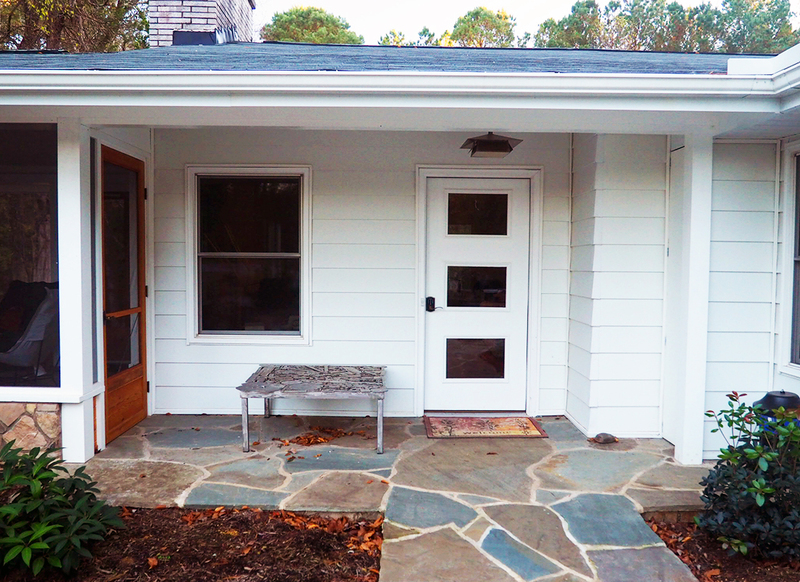 This design solves both issues by creating a welcoming entry that incorporates outdoors space.